President Trump is never short on controversy, and said controversy leads to some interesting cases. 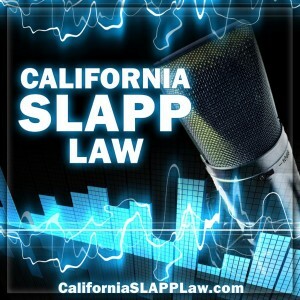 In Episode 27 of the California SLAPP Law Podcast, we will discuss two Trump cases — one First Amendment and one anti-SLAPP — arising from the words and tweets of our sneerless leader. We’ll also discuss when a motion to dismiss can be a better option than an anti-SLAPP motion. The first case is Nwanguma v. Donald Trump, arising from his comments at a political rally before he was elected. When hecklers tried to shout him down, he said “get ’em out of here.” The crowd heeded his words and bodily removed the protesters, who then sued for battery and incitement. They claimed that by saying “get ’em out of here,” Trump incited the crowd to riot. Trump moved to dismiss, arguing that his words were mere hyperbole. How did the court rule? 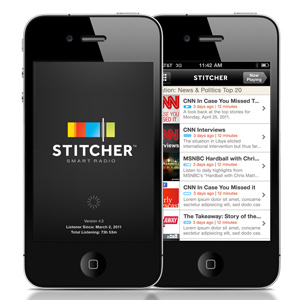 Listen to Episode 27 and find out! Her attorney, Michael Avenati, who would have known better if he listened to the California SLAPP Law Podcast, decided to sue for defamation for Trump’s usage of the phrase “con job.” As any regular listener would know, “con job” is just too imprecise to support a defamation claim. It is not verifiably false, and without a verifiably false statement, there can be no defamation. Trump brought an anti-SLAPP motion, which was granted. Not a good week for Avenati. In the same week that the court granted Trump’s anti-SLAPP motion, finding that Daniels would therefore be liable for all of Trump’s attorney fees, Avenati was found personally liable for a multi million dollar judgment by a former associate at his firm, and was given an eviction notice from his law offices for failure to pay rent. And stay around for the after show, where I discuss the happenings with Bell v. Feibush, some precedent I created six years ago.